Yamaha Grizzly 700 & Kodiak 700 14-Up Radiator Relocation Kit w/ Screen (Blue) $189.00 FREE SHIPPING! 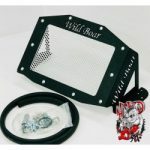 Yamaha Grizzly 700 & Kodiak 700 14-Up Radiator Relocation Kit w/ Screen (Silver) $189.00 FREE SHIPPING! Yamaha Grizzly 700 & Kodiak 700 14-Up Radiator Relocation Kit w/ Screen (Red) $189.00 FREE SHIPPING! 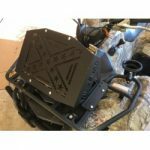 Yamaha Grizzly 700 & Kodiak 700 14-Up Radiator Relocation Kit Rebel Flag $189.00 FREE SHIPPING! Yamaha Grizzly 700 & Kodiak 700 14-Up Radiator Relocation Kit $189.00 FREE SHIPPING!